The race had turned ugly in recent days when doctored campaign fliers began circulating anonymously attacking Mr Bhalla. Ravinder Bhalla has become the first ever Sikh mayor of New Jersey's Hoboken city. 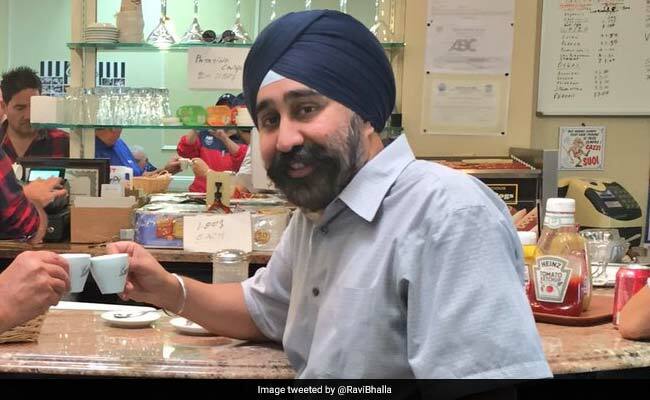 New York: Ravinder Bhalla has become the first ever Sikh mayor of New Jersey's Hoboken city after a stiff competition that turned ugly when he was labelled a "terrorist" in slanderous flyers. Mr Bhalla was endorsed by current Mayor Dawn Zimmer, who in a surprising decision announced not to run for re-election in June. Mr Bhalla, who has been on the city council for more than seven years, claimed the victory at Moran's Pub on Garden Street yesterday with dozens of his supporters, as well as his friends and family, NJ.com reported. "Thank you Hoboken. I look forward to being your Mayor!," Mr Bhalla tweeted. The wide-open campaign that kicked off in June with Mr Zimmer's announcement quickly turned into heated race, with Anthony Romano's campaign manager, Pablo Fonseca, calling the race "ugly" and "divisive", the report said. The race turned ugly in recent days when doctored campaign fliers began circulating anonymously attacking Mr Bhalla. Last week, Mr Bhalla was labelled a terrorist in slanderous flyers left on car windshields. The recent flyers were not the first time he had been referred to as a "terrorist". A Jersey City man previously tweeted: "how the hell did Hoboken allow this guy to be a councilman. He shouldn't even be allowed in the US #terrorist." Mr Bhalla tweeted about the flyers. They read "Don't let TERRORISM take over our Town! ".